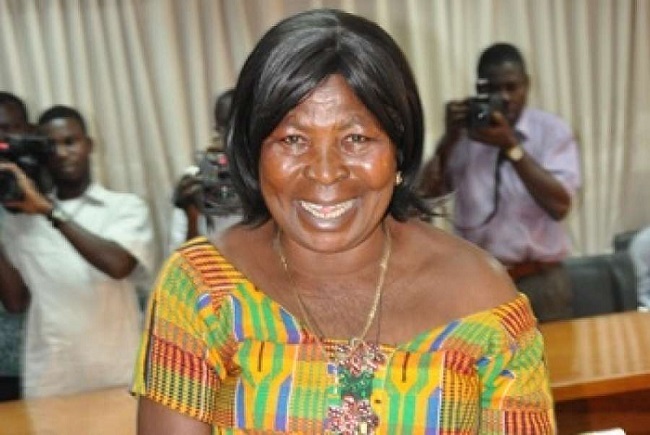 Founder and Leader of Ghana Freedom Party, Madam Akua Donkor has made a worthy promise to the people of Bukom and its environ, a promise so good that they cannot refuse but to vote for her. With Akufo Addo’s one village, one dam promise rapidly fetching him support despite his opponents calling it chaotically unachievable, Akua Donkor has also found a similar but interesting promise for a bunch of fishermen she met this afternoon. Her statement drew a lot of attention and claps from the fishermen, an indication that they are down with it and would give their thumbs to Akua Donkor to see it materialize.